Newlyn Smocks - Newlyn Fishermans Smocks - Cornish Manufacturer of traditional Newlyn Fisherman smocks for over 30 years. 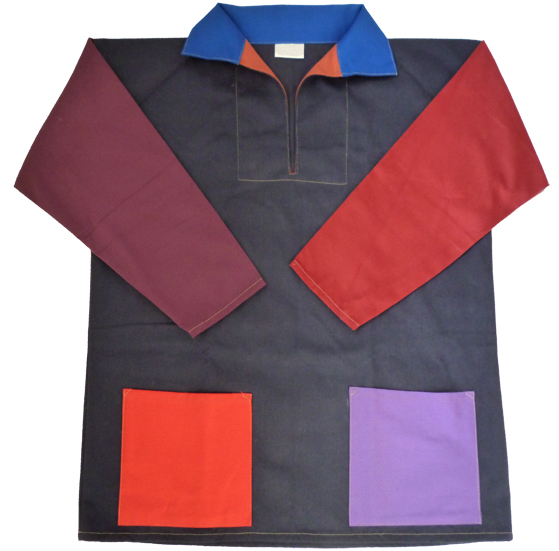 As traditional CORNISH smock makers, we have been manufacturing the traditional fisherman's smocks for over 30 years. Our smocks are made from 100% hardwearing cotton drill and manufactured in Cornwall to the highest standard. Ideal for fishing, sailing and gardening. Fast and efficient dispatch. All our orders are sent First Class post. Delivery within the UK is included in smock price, for international orders, please refer to our Delivery Information. Traditionally worn as an over-garment for fishermen to keep out the elements, the smock is a classic item of clothing and always popular with gardeners, painters, artists, woodworkers and more.